Latest E-commerce technology system developed for the stone industry with main objective to facilitate and increase direct sales of its users by organizing their inventory and displaying it online. Please notice that our system is ready for you to use and whenever you give me your approval we can deliver your website within 2 days (48 hours). SlabWare can sync all your inventory and accounts payable. Does SlabWare sync to Quickbooks? Yes, SlabWare is continuously working to optimize your sale experience, with that in mind we created a new integration system. From now on you will be able to sync SlabWare with Quickbooks. This will make your sales process way more practical and quicker! •	Import Account Button: Now you are able to import all inventory, income and expense accounts into slabware. •	ON / OFF Button: If you want to automatically sync all new bundles registered in slabware to Quickbooks, leave the button ON. •	Export Inventory Button: You can export all your inventory from SlabWare to QBO. •	Export Order Button: By clicking on this button you will export all orders on SlabWare to Quickbook according to the selected order status (‘hold’ and/or ‘sold’) you choose. •	Import Customer Button: This button can be used to search all clients on Quickbooks and to add them on SlabWare. The main purpose from slabware is to give final clients from our customers the ability to browse thru their inventory within their website provided by slabware. By doing so, they are able to see and even select the slabs they want based on the information provided by slabware's website, such as pictures, slab details and prices. SlabWare is the only known E-commerce for the granite industry. By providing the online inventory feature described above the consequence is the increase on sales, since final clients tend to go back to our customer’s website to see what they have available anytime they want, 24/7. Now final clients don’t rely only on e-mails, phone calls or even on presencial visits to the warehouse to see and select their slabs. They can do it anytime they want online. Slabware was criated to have your online inventory, this is actually an online inventory system, where you going to be able to display everything you have in stock in your own website. The idea is that your customer check everything you have in stock in real time, 24h a day, 7 days a week. After you decide to go ahead and acquire your own system/website with us all we need to know from you would be the domain you would like to use for your new website with us. This is needed in case you want to keep your current website and all you would need to do would be to create an icon at your current website which would link to your new website with us. This domain can be anything, for example www.yourcompanyinventory.com. How long does it takes for the system be online? Please notice that our system is ready for you to use and whenever you give us your approval we can deliver your website within 2 days (48 hours). Is there any sort of contract or agreement that ensures the service? There is no contract, if you are not satisfied, we can cancel at any time! Does the system print label? With SlabWare you can tag your slabs with QR Code labels, readable with any smartphone or tablet devices. SlabWare is an online inventory system specially developed for the stone industry, in which you are able to have a perfect inventory management as well as being able to display everything you have in stock in your own SlabWare website. The concept is give your customers the ability to check everything you have in stock in real time, 24/7. In this version, the system is designed for selling by bundles into full container orders. The orders management is focused on the export industry, managing all information regarding that sector. This module is focused for companies that import materials and distribute them locally per slab. They are typically companies located in the U.S and Canada (distributors), but we have versions suitable also for any place in the world. This module is designed for selling per slab, with many other features available for distributors only. In this module the system was developed for fabricators, providing features available for that type of business, such as kitchen visualizer, online quoting for final clients, job tracking, etc. In which languages is SlabWare available? The system is available only in English and in Portuguese, but within the backend system you can define any currency showing both prices (sqmt and sqft) and country origin. What will a licence cost? What are the subscription options for a SlabWare module? Which payment options can I use to purchase it? 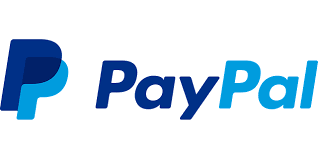 For International transactions our office will send you an Invoice to be paid thru paypal. So all you will need to do is to create an account there, add your credit card and pay, very simple. I have more than one location, do I need to get more than one system? Yes, you must have a different and separated slabware system on each of your locations in order to be able to manage the Multiple Location feature from one of the systems. That means you will need to acquire different slabware systems, one for each location, and pay for each location in case you want to use this feature. What are the penalties for not complying with software licenses? Software is protected by intellectual property law, which varies by country. Most countries impose stiff fines and penalties for copyright infringement. Will I be able to switch my fabricator module to distributor module? Before we upgrade your system for any other version we just want to clarify how the system works, so you don’t be disappointed by it. Our distributor system was specially designed for Distributors all over the world. The concept for that version is so the distributors can offer their customers (usually fabricators) login option to their website and when they log in they are able to see prices and actually hold slabs online. Since distributors sell per slab to fabricators, that version works very well for them since they also have options within the backend system to manage all orders, by placing slabs on hold, consignment or sold to fabricators. Our experience with fabricators who tried using the distributor version was not very good, first because they don’t sell per slab, but instead they sell part of the slab to a homeowner. Second, they don’t want final customers to see prices in the website since there are many variables when giving final prices to final customers, such type of edges, sinks, etc. So usually they prefer to use the fabricator version which was actually designed for fabricators since in that version there is no login option nor orders to be managed. The experience from our customers fabricators with this version have been very positive. Will I be able to switch to other module during my subscription? Yes, you can switch at any time. How much will I pay to switch? In fact all you need is to pay for the new price of the module you want to change without extra cost. Which devices can I use slabware from? You can use SlabWare from any computer, smartphone or tablet if it is connected to the internet. Regarding the actual design of the website, would we be able to use our colors and our logos or would it have to be the same as the websites you have linked? Once you acquire the system you will be able to setup your logo , basic colors and all information regarding address, phone number, about us page and others information any way you want. How would we be able to upload photos? Would this go through you or would we upload them ourselves? You will define and upload the photos yourself. Whatever picture you upload in the backend system is going to appear in the website automatically. Keep in mind that the system/website is entirely yours and you don’t depend on us for anything, other then for training/assistance. What do we need to be able to add deliveries as they come in slab by slab, then have a customer database to issue invoices as stock is sold, and keep an up to date inventory? Our system was developed as an inventory control. With it you will be able to control for example all slabs currently available, on hold, sold or consigned for your customers. You can create all kinds of reports as well, such as all slabs activities, Invoices due, profits per order, etc. We believe that’s exactly what you are looking for. If there were any accounting bonuses attached to the system ie: for VAT submissions, outstanding debtor information that would be good too. Is this something you have within the SlabWare system? No. By using your system you will still need to use a second system to control all local financial transactions from your company. You will use our system mostly for inventory control and sales activities only. For financial we only have included in the system the accounts receivable, but we don’t have the accounts payable. We recommend you to use a second system simoustanly such as Quickbooks. With these versions you have many other features which will improve the relationship with your customers, such as: Customer Relationship managment CRM, Mailing (send personalized emails within the system with the right material to the right customer according to the CRM profile), Login system (you will know all customers logged in to your website and all their clicks). Your customers can also track their orders within your website as well as download documents and check all pending Invoices. You can also generate Invoice and Packing List within the system. You can create all kinds of reports, such as all slabs activities and their status (hold, sold or consigned) or any edition manually applied on a slab. For the distributors version you can generate also: list of customers; list of orders; pending, past due, paid or open Invoices; etc. What database is Slabware utilizing for it’s backend? Are we able to access it outside of Slabware? SlabWare uses the latest technology in their systems, such as: servers in the clouds, programming ASP.Net, C #, JQuery, Ajax, MySQL database and other components. The software can be accessed from any device, and all you need is internet connection. Besides that, it is 100% mobile friendly! Where can I get a trial of products available? You can try any of the modules that will be available within the system. Simply go to the Product Trials Page on http://slabware.com and select the version you’re interested in to download a free trial. Will I need an Internet connection to install and activate an industry collection? An Internet connection is required to use the system, since it only works online. Can I log into any computer and use an industry collection? Yes, you can log on to any computer by using your login and password. Your system will be ready for you to use within the next 48 hours, after the first payment. You will be notified by email as soon as it up and running! Here you can manage all of your personal information and payments. Copyright 2012 SlabWare. All rights reserverd.